Well, its official. 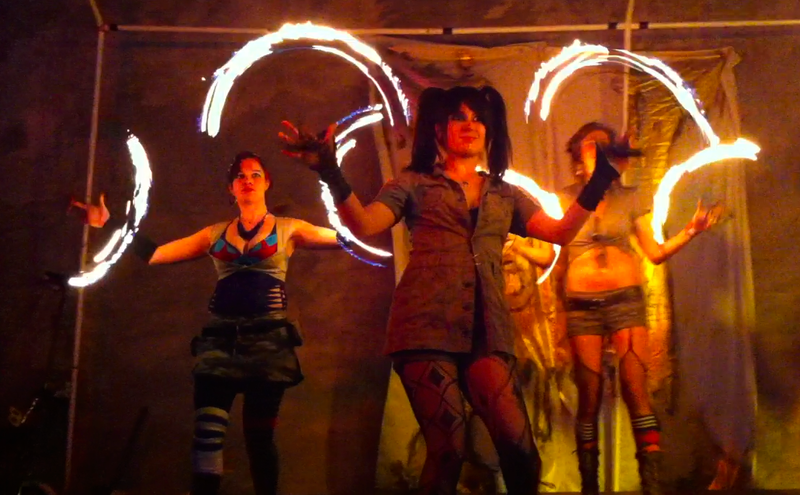 My work/professional life and fire spinning have completely collided. One of the companies I work with a lot recently got a new Black Magic Cinema Camera. I had shared some of the footage from our recent shoot with them (we also shot on the Black Magic, as well as a Red) and had previously babbled on and on about fire stuff… Well turns out we’re going to be featured in their upcoming project. From what I gather, its all about celebrating the spirit of Independence in Philadelphia through various independent people. My favorite bartender Clark (who also happens to be good friends with one of the guys at the company) is featured in it, as well as Philadanco and various other small business owners and artists. We’d been trying to get the ladies together with the crew, and scheduling was a nightmare. When we finally got everything locked, massive thunderstorms and tornado warnings cancelled our first go-around. We rescheduled for this past Monday. Beautiful weather, four dancers, solid location. Showing up in full costume to see folks who hire me pretty regularly as a normal person waiting on the sidewalk was rather amusing. Wave “Hi”, grab my fire dump box, costume bag, speaker and extra fuel and tromp over to shake hands. We did some portraits first (UG I’m awful in front of the camera being told to smile) and then lit up. I always love the reactions people have when they first see fans on fire. Photos and videos don’t really do it justice. There’s something primal about the flame, and the fact that decked-out ladies are manipulating it and drawing shapes in the air is fascinating. In this world of instagramming everything, I’m always pleased when people take out their phones to try to capture the moment. Yup, we’re one of those “OMG can’t believe where I am right now” experiences. We’ve got some stills from the footage up over on our site, www.luxarati.com. I can’t wait for the final piece to see how they work us into the rest of the stuff they shot.